Hi, Veronica here today to share with you a little trick I do to use up my 6x6 mini pads. For this project I am using Helmar's Quick-Fix Permanent Adhesive Runner as well as Helmar's Scrap Dots. Below are pictures of my process; starting with gathering all your supplies. In this particular project I have pre-made pages in my mini pad that I want to use up. Pick out your cardstock coordinating colors and the pages from your mini pad. I fussy cut my (pre-made) 6x6 pages around the design that I wanted to keep. Then laid it down on my base page. Make sure that you have symmetry and line up your fussy cut pages. Now all you need is to glam up your page by using embellishments! I happen to have the coordinating embellies to go with my mini pad for this sample. If you do not have coordinating lines, don't worry, the same theory applies to all pages. 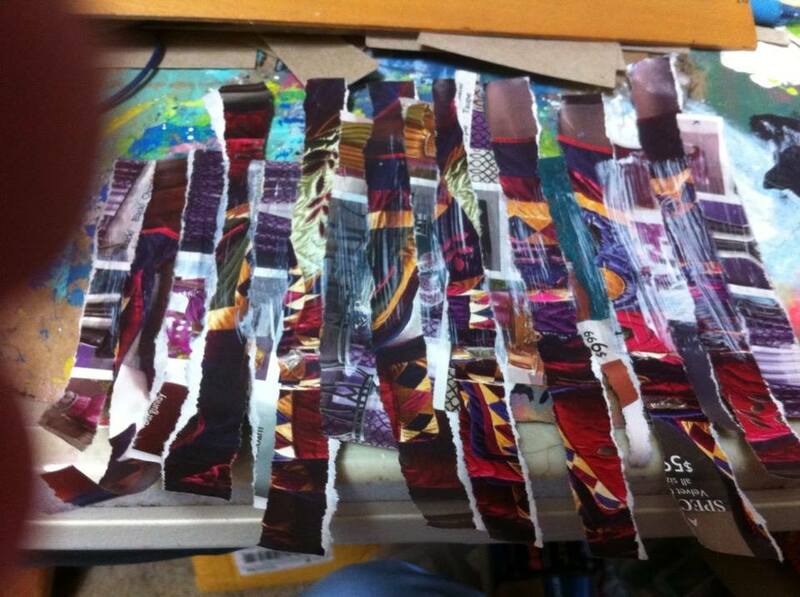 To give my layout texture and dimension; I used the same pattern ribbon, brads and flowers. Then I just laid them on top of what was in the pre-designed 6x6 pages. I added a title a couple of stickers, some mist spray and ink as a final touch. Thank you so much for stopping by Helmar's Creative Team Blog. I hope you enjoyed my layout and have been inspired to use Helmar Adhesives and do a little scrapbooking. I am so excited to be sharing my first project as a Helmar Creative Team Member! Memorial Day is a time to honor those who have given their lives while defending our country. And, although he did not die while serving, my dad was in the Navy. He served in the Korean War long before I was born. He passed away when I was 12, so I am unable to get much information about his tour of duty. I wanted to honor him by scrapping the photos of him and his parents from 1945. Helmar has a wide variety of products perfect for your scrapping needs! For this project I used Zapdots, Scrapdots, Helmar Permanent Adhesive TapeRunner, Helmar Quick Dry 450 Adhesive and Helmar Acid Free Glue. I made my own anchor out of cardboard and pattern paper using Quick Dry 450 to adhere them together. Zapdots are perfect for giving dimension to tags. And Liquid Scrap Dots allows me to control how much depth I want for the flowers. Use a little or a lot to build a base. These old photos were curled but I had no problem securing them to the layout with the Acid Free Glue. Now let us take a lot at all of the elements put together! Thank you for visiting the Helmar Blog and I hope you enjoyed seeing all the ways to use these adhesives when scrapping. Adhesives Aren't Just For Sticking Anymore! You won't need much to get started. 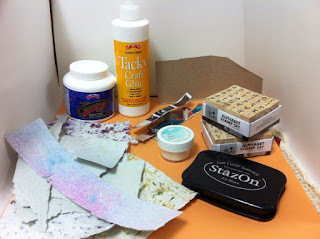 Below you will find lists of the adhesives and embellishments I used. Feel free to experiment with different embellishments and shiny things you already have on hand. Now watch this video for step-by-step instructions and even more ideas that your inner mad scientist will love! School is almost out here in the states, which means Thank-You cards! A card is always appreciated or add a gift card inside if you wish! A simple thank-you can go a long way and this card is super simple! I used Helmar's 450 adhesive to create this. We would love to see your Thank-You cards created with your Helmar Adhesives! Tag us on Instagram: @helmarworldwide, Twitter: @HelmarLive and the Helmar Facebook page. Happy Birthday Cards with Helmar Adhesives! Hi, Veronica here to share with you two cute Birthday Cards using three Helmar Adhesives. I decided to make the same design but in two different sizes. When getting out your supplies to make a card; it is easy to just make two or three cards right away with the same design. All you have to do to make them slightly different is change the color, pattern or size. My first card is a standard 4 1/4 x 5 1/2. I used a sheet of 8.5x11 cardstock. 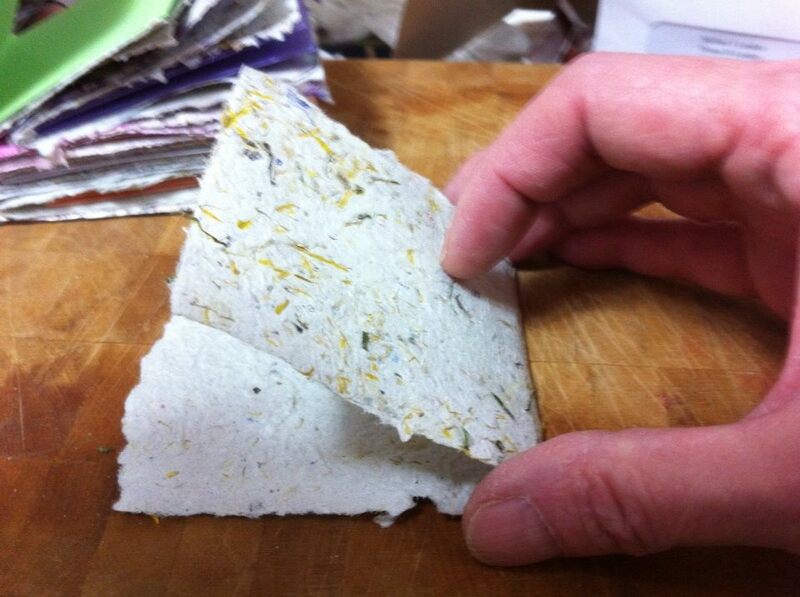 Cut the sheet in half and fold using your bone folder. With my left over half I cut two more pieces. (1) 4x5 1/4 (1) 3 3/4 x 5. I adhered the 4 x 5 1/4 piece to the front of my standard card using my Helmar 450 Quick Dry. I then placed my 3 3/4 x5 smaller piece into a sizzix embossing folder about 3/4 of the way in. I then chose the sticker I wanted as my title for my card. 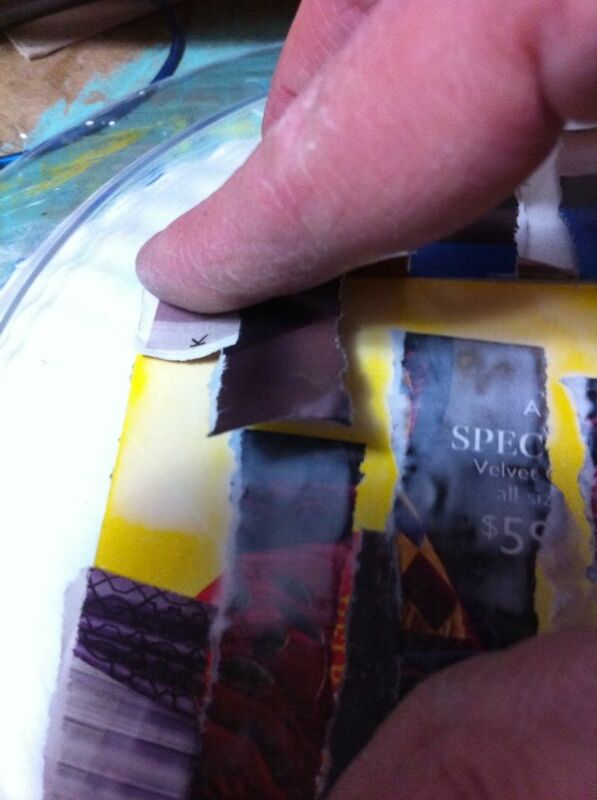 Then I separated the embossed design from the smooth with a piece of Ric Rac. Next I chose a patterned piece of smaller ribbon and tied it in a bow for my embellishment. I adhered the bow to my card using Helmar's Scrap Dots. I like making my cards with some dimension, so I usually place at least three layers on my card. Even though all layers are white in this sample; the three layers give your cards a weight and a look of quality and finished card. As a final touch to this card I distressed the 3rd layer with scissors on all four sides. I hope you have enjoyed my card making today. Remember to check back on Helmar's blog for more inspiration each month! Today I have a mini Traveling Memories Scrapbook to show you. You will need a cereal box or cardboard of some sort. I cut mine to 8" long by 3" wide. I scored each side at the 3" mark which made a center piece of 1" for the spine. I then reinforced the spine with another piece of cardboard cut just a smidge smaller than 1" and used my Helmar Tacky Craft Glue to glue it in the center. I then cut two more pieces 3" by 3 1/2" and glued those to each side to reinforce them. You need a strong glue to glue these in place, that is why I chose Helmar's glue. 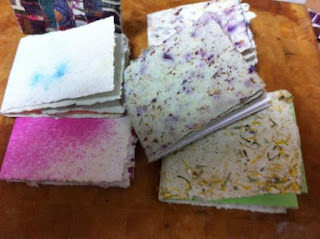 Then tear pretty papers into strips, this is where you can use some of your gelli prints or waste paint paper and even magazines. 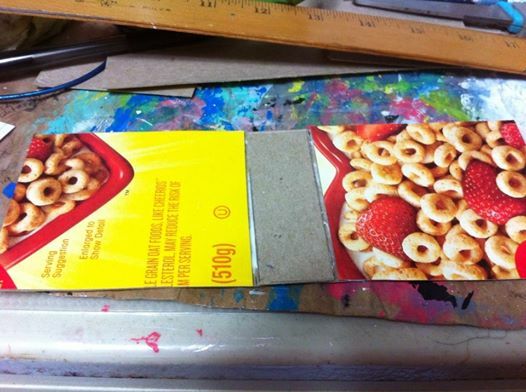 Glue the strips onto the cardboard making sure to mix the papers up so two of the same are not next to each other. Let them dry on their own or use a heat gun to speed up the process. Then turn the book over and glue down the overhanging pieces. I let this dry overnight. Afterwards, I glued a piece of dictionary page down on the inside, let that set up and while the cover was still tacky, brushed on some Stampin' Glitter by Stampin' Up.....who doesn't like glitter! Next step is to take your handmade paper and cut it to the size you need to fit your small "scrapbook". I tore mine 6 1/2 by 2 3/4. Fold them in half and make signatures. I made five signatures for my book. I then used hair bands to put my signatures in my book but you can use whatever method you like to bind your books. I did it this way so I can easily change them out or add new ones when I want. 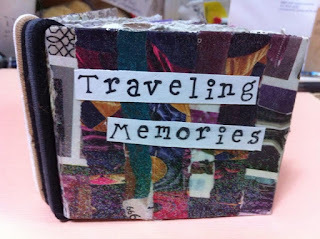 Then just use your traveling scrapbook to keep your little souveniers in when you travel, maybe it is only a day trip, keep your ticket stubs, a flower you may want to press, a lucky penny you find, just anything you would like to put into your small book. I did add some extra paper in case you want to jot down notes or something. You could also add dangles to the side and make it real cute. I added a title to my book using small letter stamps on a piece of scrap paper and adhering it with Helmar D'ecoupage and craft paste. I hope you have enjoyed my little scrapbook today! We would love to see what you have created with your Helmar Adhesives! Tag us on Instagram @helmarworldwide, Twitter @HelmarLive and Helmar's Facebook page. Put Your Money Where Your Art Is! Greetings fellow craft fans! Jenn here, with my answer to a challenge posed to me: create a piece of home decor using or inspired by money. At first I was absolutely stymied, then the perfect approach occurred to me: Feng Shui. In feng shui, you place objects, colors, and materials in your home or office according to where they will benefit or influence different sectors of your life. While there are a couple different approaches, my research tells me that the southeast corner is the money corner, that the colors are blues and blacks, and that water features or representations all work as feng shui "cures." Gem trees are another common feng shui cure, so I'm combining the water element with them to create a wall hanging for my office. Who couldn't use a bit more money luck in their lives, right? Plus assorted other items like a pencil, a good reference photo, and bent-tip tweezers. Sketch the composition onto your canvas lightly in pencil. I'm using a reference photo from Paint My Photo (pmp-art.com), a site where photographers offer their work for artists to use as references without worry of infringing on copyright. The important thing to keep in mind for this sort of composition is that the water needs to be moving, not still. So rivers, waterfalls, rapids, etc. all have the right feng shui energy whereas lakes, ponds, and other still bodies of water would not. And since we're incorporating a gem tree as well, there needs to be a tree in the picture somewhere! Paint in the sketch, color with oil pastels, collage it, whatever. And if you're not up to painting your own scene, you could transfer a purchased image onto the canvas with Helmar Decoupage & Craft Paste or purchase a suitable printed canvas from any number of art sites. Unstring the bead chips and gather them in groups on your work surface. While certain gems are more money-centric than others (citrine is apparently popular for money cures), I opted for gem chips in shades of green. In part because I already had plenty of them (saving money already!) and partially for their leaf-like appearance. Bags and strands of semi-precious gem chips can be found in most craft stores and even some big box stores with jewelry craft sections. Apply the gem chips to the canvas by dipping the flattest side of each into a puddle of Helmar Gemstone Glue and settling it on the canvas. Tweezers will help keep your fingers from getting all gooey since these chips are small and the more chips the better as far as the feng shui aspects are concerned. Once dry, the Helmar Gemstone Glue is clear, leaving only your gems and the canvas showing. No further finishing is needed and you can hang it proudly in the money corner of your home or office with pride! Hey, everyone Lydia back here to share my second Helmar creations using the wonderful products which you are able to find in the Helmar store HERE. This layout I am sharing today is something related to Family, so I used a photo of my family on this layout. So, to start the layout I cut about a quarter of a circle out of a 12x12 patterned piece of paper; to add to the left side of the layout. I adhered this to the 12x12 white card stock with Helmar Craft Glue. The next step got a little messy with the watercolours! I used the packaging technique. I just put a little bit of watercolor onto a piece of plastic packaging and smudged it onto the layout. This never turns out perfect, it comes the way it ends up on the page. I then got a few patterned papers and mounted my photo by adhering the paper with the Helmar Acid Free Glue. Last but not least I added my photo with the fantastic Helmar Liquid Scrap Dots. I also adhered my embellishments of a mix of card stock ephemera, stickers, gems and washi tape. I adhered these items with the Helmar 450 Quick Dry Adhesive and the gems with the Helmar Gemstone Glue. So next time you visit your relatives or they visit you; make sure you take some snaps and scrapbook your memories! Hope you enjoyed this layout and I will be back next month with more creations using Helmar products. Hello crafty friends, hope you all had a great weekend. I am excited to be here today doing my first post as a Helmar Creative Team member!! I will be featuring the color purple and using Helmar Craft Glue to make a "Book of Love" card. This is a project I had made some time ago, and after making so many Mothers Day cards and several other typical square and A2 size cards I was ready for something different. I started with Helmar Craft Glue and 2 pieces of colonial white cardstock. Cut 2 pieces at 6 and 3/4 by 9 and 2 pieces cut 5 and 1/4 by 9. Score them all every 3/4 inches on the 9 inch side and then mountain valley fold. then I inked all the edges with Tim Holtz Vintage Photo ink. After they are inked, you take the longer folded ends and meld them together: only gluing the outer strips (like what I have my finger on. When all four pieces are glued together, it should look like this. Next step; I took a colored piece of cardstock, purple in this case,( 7 and 1/4 by 12 inches scored at 5 and 1/2 and 6 and 1/2) which will be your book cover and line up and glue the frame to the edge of the 6 and 1/2 inch score line. I glued it down with the Helmar craft glue ( which I love by the way!!) It is clear, cleans up easy and holds awesome! I then started on inside tags. I inked, punched corners, added ribbon, a sentiment and a couple butterfly paperclips I had in my stash. I decided to use some older papers from Graphic 45 that I had for quite some time and was waiting for a project like this one to use them on. Next to decorate the front, the fun part... I used some Prima flowers, Really Reasonable Ribbon and lace from my stash. A Stampin up punch and some stamens. Here is what the end looks like...like a "Book". and here is the finished Project!! Hello dear friends, Martha Lucia here sharing with you for the first time. It's an honor to be part of this design team and spread my creativity and experiences with you. Today I explore a technique using the Premium Craft Glue. Let me show you my card. Take a piece of watercolor paper. The size of mine is 3"x4". Make two or three thick lines of glue using Premium Craft Glue and using a piercing tool try to create some distress on these lines. 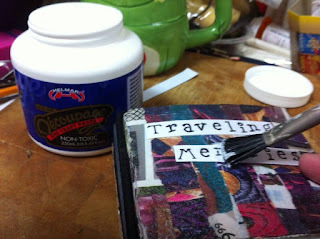 Cover the Premium Craft Glue with Embossing Powder. I chose the Cooper color of embossing powder. Take the heat tool and melt the powder applying the heat from the back of the paper. You will note that the glue will be bubbling. Let the glue dry for a few minutes and the bubbles will be disappear. Using an aqua painter apply the colors of Distress Ink that you want between the copper lines. I used the colors Abandoned Coral, Spiced Marmalade, Cracked Pistachio, Moved Lawn and Broken China. Paste a regular piece of card stock behind of the decorated piece a little smaller to give more stiffness, for this you can use 450 Quick Dry Adhesive. Create a mat to this piece using a piece of Early Espresso card stock. The size is 3-1/8"x4-1/8". 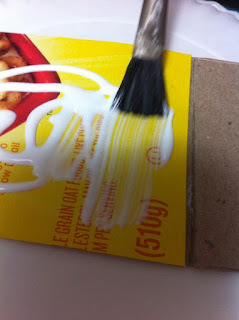 Paste the mat using 450 Quick Dry Adhesive. Create a base of the card using Very Vanilla card stock. The size is 4-1/4"x 11" with score in 5-1/2". Paste the decorated piece over the base using 1/4" Square Zapdots. Stamp your sentiment using Delicata Celestial Cooper. In my sample I used a sentiment from the stamp set Let the Shine Bright by Joy Clair Stamps. I hope my project inspired you with new techniques to try on your creations! We would love to see them!Thank you for stopping by and see you soon!